Mr. Gelpí's practice has encompassed general civil matters and consultation, in areas ranging from simple matters to complex litigation in maritime, aviation, products liability, insurance, banking, commercial, insurance, and medical-hospital liability. 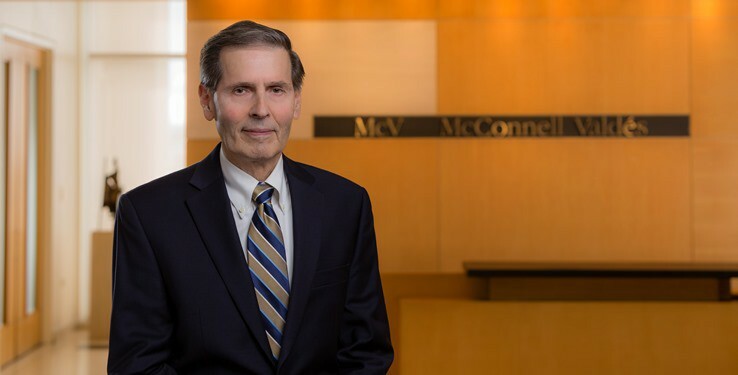 He has had extensive litigation experience in federal, state and administrative forums. Mr. Gelpí currently serves as Chairman of the Admissions Committee of the United States District Court for the District of Puerto Rico. From 1975 to 1978 he was a member of the P.R. Supreme Court Board of Bar Examiners. Arguing before the Supreme Court of the United States in Calero-Toledo v. Pearson Yacht Leasing Co., 417 U.S. 663, 94 S. Ct. 2080 (1974). Litigating approximately 30 cases as sole counsel before the U.S. District Court and argued more than 15 cases before the First Circuit Court of Appeals. He has also been trial counsel in different cases in the state courts, and has argued two appeals before the Supreme Court of Puerto Rico. Successfully defending manufacturers in a variety of products liability cases before the U.S District Court for the District of Puerto Rico and State Superior Court. One such case was Castro v. Barnstead Thermolyne Corp., Civ. No. 95-2071, where the exclusion of plaintiff's expert testimony resulted in a verdict for the manufacturer. Representing Wyeth in both the REDUX (Fen-Fen) and PREMPRO (Hormone Replacement Therapy) cases upon remand by the Multi-District Litigation Panel to the district court for case specific discovery and trial. Successfully defending Cook Corp., a medical device manufacturer, in a claim based on an alleged defective stent and, also a claim filed in state court alleging the separation of the distal end of a subclavian catheter, migrated to the heart and became embedded in a ventricle. Representing the Federal Deposit Insurance Corporation in connection with various failed insured financial institutions in relation to complex legal and non litigation matters, such as investigating and prosecuting D & O claims. Now, he has switched roles and is defending the former President of a failed financial institution from the FDIC’s D & O claim. Counseling the United Kingdom and the Republic of France when those countries had Consular offices in Puerto Rico.